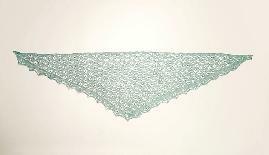 This symmetric triangle shawl is worked in one piece from side to side. 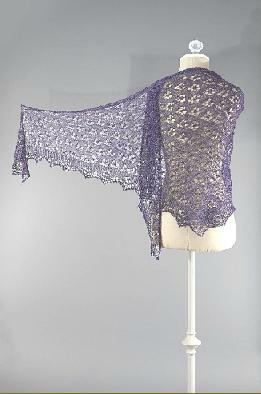 An interesting knit, the edging is worked at the same time as the illusion lace body. Both patterns have the same repeat of 20 stitches. 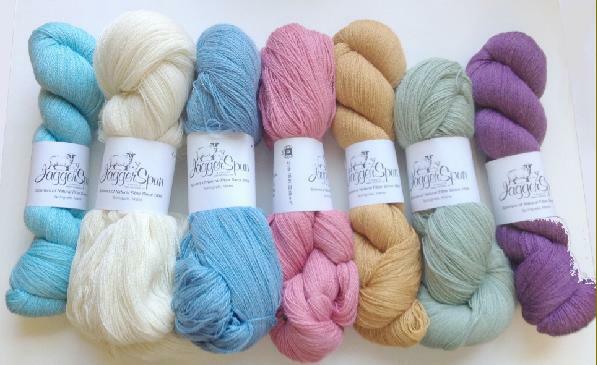 Our kits include a well-written pattern with written and charted directions, and a generous amount of JaggerSpun zephyr lace weight yarn in your choice of 7 scrumptuous colors.